There’s no question that in this decade, lawyers looking to improve their trial practice skills cannot afford to ignore blogs, how-to videos and other visual media. We wrote recently about the best blogs and best LinkedIn groups for litigators and litigation support, and, of course, many other social media outlets exist as well. In fact, the same trends that prompted me to launch our firm 17 years ago are largely responsible for success stories like YouTube and Pinterest. Specifically, it has been shown that many people, if not a majority, learn and assimilate information more readily by seeing something in a video or other audiovisual presentation, as opposed to simply reading about it. That’s one of the secrets of trial presentation, and it’s also essential for an understanding of today’s Internet. Here’s how channels work. When someone wishes to upload a video to YouTube, he or she must first create an account. On YouTube, the account’s “home page” is called a channel. The channel contains links to every video that has been uploaded by that particular user. A channel is similar to an online portfolio containing all of the content created by that user. It can have only a single video, or hundreds. In YouTube, if you see a channel that you like, subscribe to it, and you'll be notified when new videos are posted. 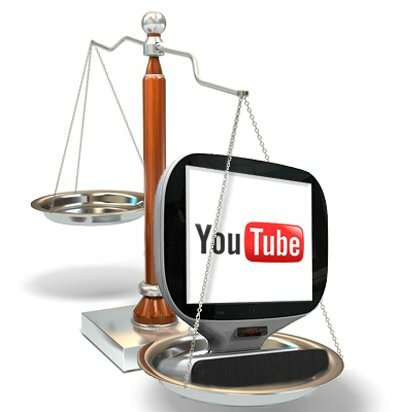 We've written about YouTube before in posts like this one, which provides a catalog of 10 web videos that every litigator should see or this one, which gives 10 tips from three top litigation experts. Here are some channels that we’ve selected that provide useful information for trial lawyers. Trial Lawyer Expert - A trial lawyer gives advice about deposition testimony, voir dire, and other important aspects of a trial. Practicing Law Institute - This is the continuing legal education video channel of the Practising Law Institute, a major CLE provider. National Institute for Trial Advocacy - This is the channel of the National Institute for Trial Advocacy (NITA), the nation’s leading provider of legal advocacy skills training. A2L Consulting - This is A2L Consulting’s own video channel, with brief introductions to trial topics by A2L’s consultants as well as interesting trial graphics and excerpts from actual arguments. The Lex Blog Network – This channel draws on more than 850 publications and 7,000 authors to update viewers on important legal and litigation news. Network of Trial Law Firms - This channel provides up-to-date continuing legal education for in-house claim and litigation managers. ABA's Litigation Section - The American Bar Association’s Litigation Section has a wide variety of videos on trial practice and technology topics. An interesting one is about how to use storytelling during voir dire. LawLine - This is from Lawline, a leading provider of online continuing legal education. Emory School of Law - This is the channel of Emory School of Law in Atlanta. Not all of these videos relate to trial techniques, but the ones that do are highly instructive. Look for videos featuring Professor Paul Zwier, such as the one about how to use visuals to make trial presentations. LSU School of Law - The Louisiana State University law school has produced several helpful videos, including one on voir dire of an experts.